About Us - S&E Enterprise Sdn Bhd. 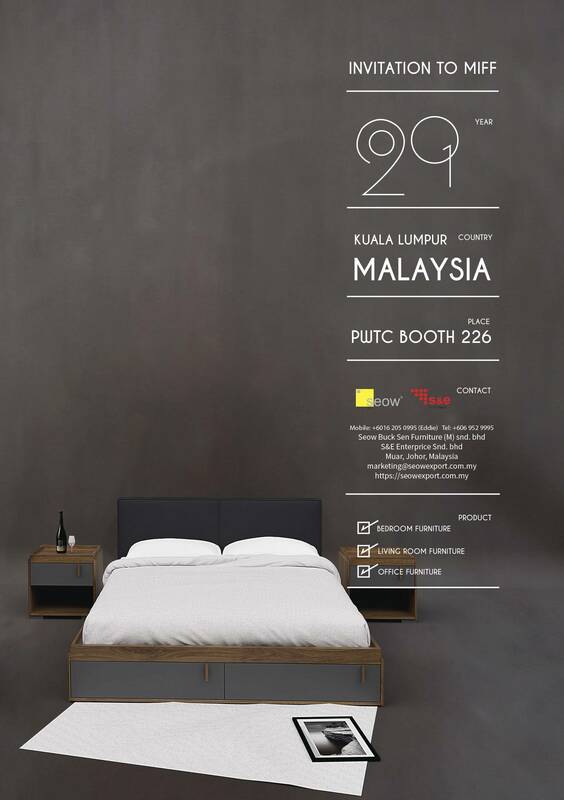 Seow Buck Sen Furniture (M) Sdn Bhd was incorporated in 1983. The company has a good solid base and foundation for Home and Office Furniture systems development as it comprises of well experienced and experts in furniture industry for more than 30 years offering a wide range of home and office furniture systems. The company carries out in their own premises all the phases of the production process, from the raw materials (melamine panels) to assembling of the semi-finished products. This allows the company to ensure the highest quality standards are maintained within the shortest possible lead times. The implementation of modern manufacturing processes and CNC machinery enables the company to produce products to the highest international standards. Each Office product is the result of a thoroughly tested design process passing through original and creative intuitions, analysis of feasibility and product industrialization, with the employment of highly professional teams and sophisticated software. At Seow Buck Sen Furniture (M) Sdn Bhd, we believe the customer comes first. For this reason our organisation is constantly striving to achieve the highest levels of customer care. " S & E Enterprise Sdn Bhd " is formed as a marketing team to provide direct contact with our clients and are trained to provide customers with product information, problem-solving and support services throughout all the phases of an order from enquiry handling to after sales services. In this way S & E Furniture becomes your business partner assisting you throughout all the phases of each business with a turnkey approach to meet each specific aspect of a client's requirements. We cordially invite you to evaluate our products and contact us for further information.